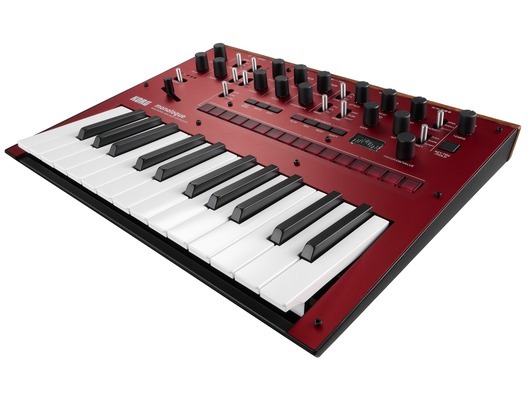 The Korg Monologue (Red) is a 25-key monophonic synthesizer, which features an analogue synthesizer circuit based on the design of the best-selling Minilogue. 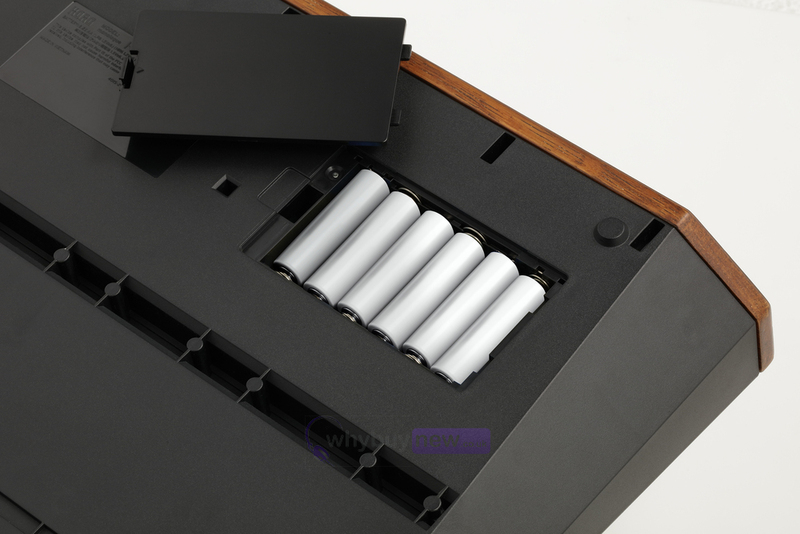 The Monologue is compact and lightweight, and can be powered by batteries, making it fantastically portable. 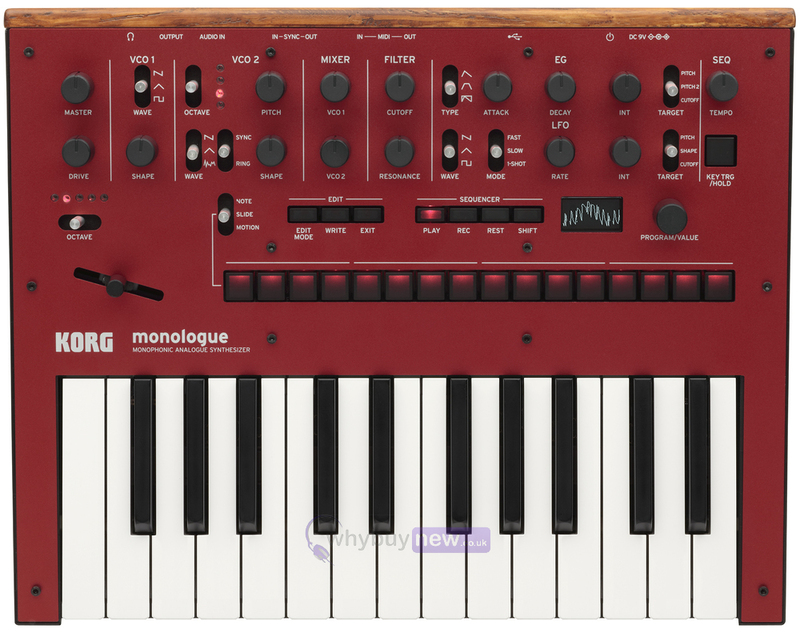 The Monologue is a truly unique new synth for all types of musicians; featuring new voicing and sound sculpting abilities - at an amazing price. The monologue's completely new filter, modulation, drive, and LFO can generate powerful basses and sharp leads, creating awesome mono sounds that showcase its single-voice design. The step sequencer has also been dramatically expanded, allowing more intuitive and more complex editing. With a line-up that gives you a choice of five eye-catching colours, this compact instrument has a strong personality to match your own. 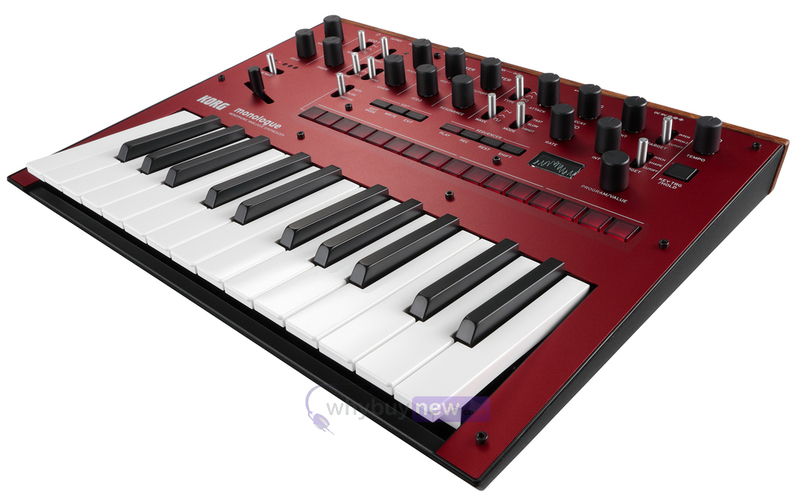 Here we have the Korg Monologue Red in brand new condition and in B-Stock. The B-Stock versions would have been on display at a training evening or trade exhibition only and will come boxed 'as new' with all accessories and a 1-year warranty. Please note that the box will have some cosmetic damage.